Dune bashing is one of the top adventure activities in Dubai. When it comes to adrenaline-pumping activities, Dubai doesn't fall short. The city has the perfect formula for high-octane adventures and daredevil thrills — a diverse topography of deserts and seas combined with a knack for record-breaking technology. The result is a perfect playground for adrenaline-junkies and a myriad of heart-racing diversions in the sand, sea, and sky. Whether you’re looking for unique adventures in Dubai or a place to let loose, this city of superlatives will never disappoint. 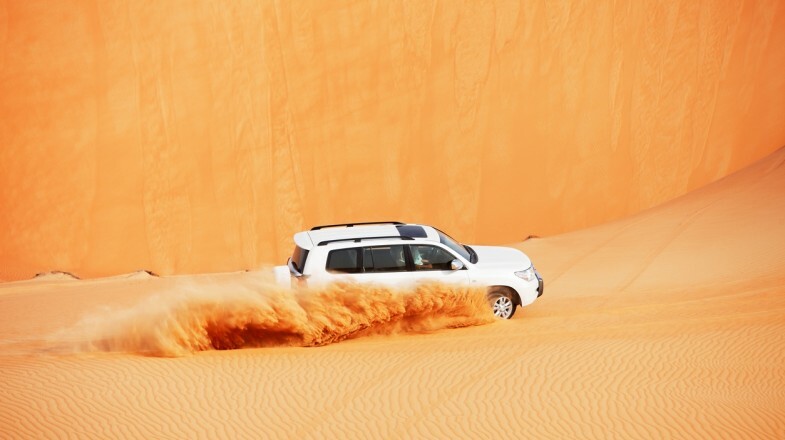 Strap into a Land Cruiser or a Hummer and bust through sand dunes at full speed! Desert sands offer an experience unlike any other offroading. Dune bashing, one of the most popular adventure sports in Dubai, allows you to explore the Arabian desert with a twist — being strapped into a massive 4x4 while it maneuvers up and down sand dunes on a thrilling roller coaster ride. Dune bashing is safe and SUVs are usually fitted with roll cages to protect passengers in the very unlikely event that the vehicle tips over. Tire pressures are also reduced for best traction when moving on the sand. This activity is suitable for most individuals and is one of the best things to do in Dubai. Tip: Going on a dune bashing adventure can feel very much like riding a roller coaster, so eat a light meal prior to your excursion so you don’t end up queasy! Enjoy a desert safari experience and go dune bashing with this tour or enjoy dune bashing and dinner on this evening desert safari tour. Quad biking allows you to explore the desert on your own. As opposed to dune bashing, desert quad biking allows you to explore the Arabian Desert at your own pace on a quad bike — a three or four-wheel all-terrain vehicle with low-pressure tires that allow you to climb or descend dune hills. With the right licenses, you can even rent quad bikes per hour and explore the desert alone or with your friends. A lot of Dubai adventure tour packages include quad biking with sumptuous meals, belly dancing entertainment, and furnished tents where you can retire during the night. Tip: Keep your legs on the foot pegs and don’t lock your elbows. A word to the wise — never attempt to perform a wheelie if you’re a beginner in ATV. This almost always ends in disaster! 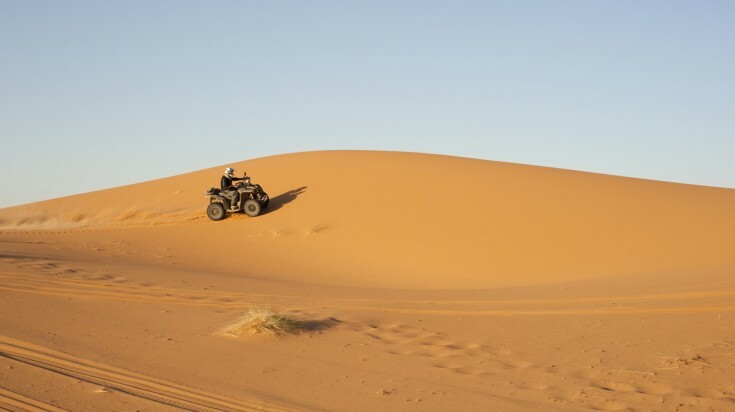 Go on a desert safari and enjoy desert quad biking with this tour. Desert safaris in Dubai allow you to enjoy many adventurous yet safe activities in the desert. If you’re not new to snowboarding (or even if you are!) there is absolutely no reason to miss out on sandboarding, one of the most popular desert adventures in Dubai. Sandboarding involves riding down a sand dune while standing on a board — either with both feet strapped in or without bindings (for seasoned pros). First-timers might want to tackle lower hills first to practice their balance, but experts can go to town! The Arabian Desert is home to dunes of around 300 feet high, providing an unforgettable experience! Tip: Sandboarding can be exhausting, as it involves climbing up dune hills after you’ve descended. Don’t forget to rehydrate and take breaks! Enjoy sandboarding on a desert safari tour and also enjoy a dinner in the desert with this tour. No vehicle allows you to explore the Arabian Desert more safely than the versatile dune buggy — a single-seater vehicle equipped with full roll cages, safety harnesses and bucket seats. These vehicles are specifically crafted to climb and descent dunes, but make no mistake, though dune buggies are safe, they do not skimp on the excitement factor! With speeds of up to 110 km per hour, you’re guaranteed an adrenaline-pumping ride! Tip: Dune buggy tours range in duration from one to four hours. The longer the tour, the more of the Arabian Desert you can explore. If you’re a first-timer in ATV offroading, you might want to select shorter tours until you get the hang of it. Enjoy dune buggy riding through a desert with this tour. Flyboarding is a new sport to try out when in Dubai. 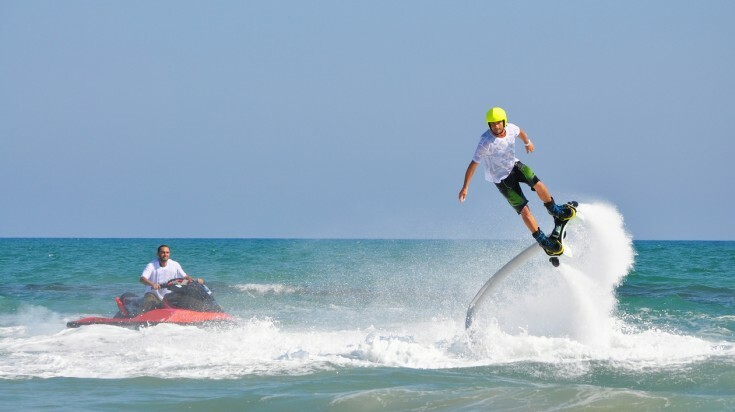 Trust Dubai to whip up one of the most technologically advanced adventures ever — flyboarding. A flyboard is a type of water propulsion device attached to the feet that allows the rider to zoom up into the air up to 3 meters high! Think Iron Man, but instead of fiery jets of flames shooting from your feet, you get powerful streams of water propelling you into the air. The board can be directed by hand controls or by distributing your weight through your feet. Tip: Once you’re ten feet in the air, looking down can make you lose your balance. Try focusing on a single point on the horizon to take your mind off falling. If falling is inevitable, assume a dive pose to break the water surface and reduce the impact on your head. A bucket-list favorite, skydiving is one of the city’s most popular activities, especially for couples on a honeymoon in Dubai. Nothing compares to the experience of falling around 3,700 meters over a desert with your significant other! There are two skydiving locations to choose from: the Desert Campus Drop Zone and the Palm Drop Zone. The Palm Drop Zone offers magnificent views of the Palm Islands while the Desert Campus Drop Zone offers breathtaking sights of the Arabian Desert. Tip: Skydiving is a weather-dependent sport, so if the winds change and the weather deteriorates, your scheduled excursion might be pushed back until the conditions are more favorable. Keep this in mind when booking your skydiving adventure. Indoor skydiving allows you to experience the thrill of skydiving in an indoor simulation. Let’s face it — plummeting 900 meters from the air does not sit well with everyone, even for the most adventurous types. Thankfully, Dubai has an alternative for more reserved adventurers: indoor skydiving. Head to the desert campus of Skydive Dubai and enter the world’s largest wind tunnel — over 5 meters high and 5 meters in diameter. 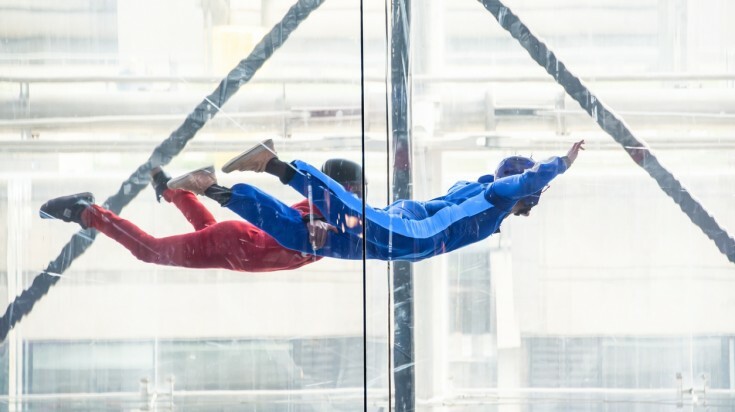 In wind tunnels, participants are lifted and propelled by a column of vertical wind, replicating the experience of real skydiving without the need for an aircraft or parachute. Tip: Don’t forget to wear comfortable clothes and lightweight shoes. Listen to your instructor and stay calm. Your balance is dependent on how much control you have over your body. Go on an adventure while getting some exercise in with mountain biking at Hatta. The mountainous region of Hatta, about 140 km east of Dubai Downtown offers a variety of picturesque trails for both mountain biking experts and beginners. The Hatta Mountain Bike Trail Centre offers four different route levels for bikers of all skill levels, from the beginner-friendly green route to the more challenging black route for veterans. If you’re an avid cyclist, this adventure is a definite must-have in your itinerary. Tip: The Hatta biking trails are open 365 days a year. You can bring your own bike or rent one, just don’t forget to grab a trail map before going on your mountain biking adventure. Take to the seas and dive in the clear waters of Dubai. If you’re tired of the sands, take to the seas. There are around 500 species of fish in the waters of Dubai with sandy pearl beds that lure manta rays, barracudas, sea snakes, and turtles. Majestic wrecks are perfect places to spy on batfish and Arabian angelfish. 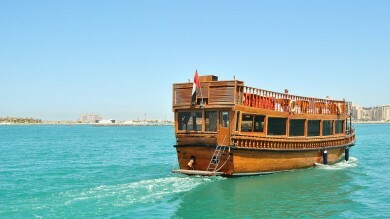 There are a variety of self-contained ecosystems and shipwrecks in the Persian Gulf just waiting to be explored! Scuba diving in Dubai is a guided event complete with PADI instructors who promise a safe and exciting experience. 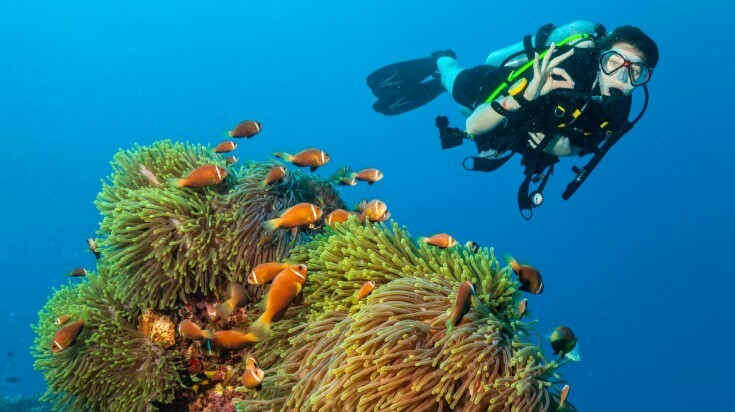 Tip: It’s possible to dive in Dubai all year round, but to avoid chilly waters and sunburns, it’s best to schedule your scuba diving in April, October and November, away from the winter and summer months. 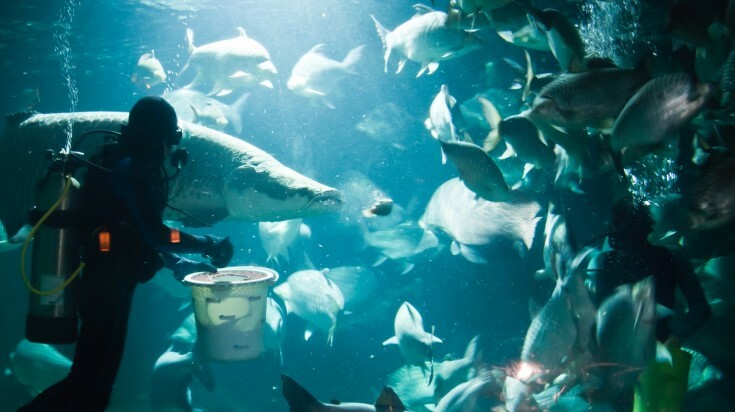 Dubai Aquarium allows you to dive among sharks. Nothing will make your heart race more than being surrounded by aquatic creatures with 750 pounds of lean muscle and 300 teeth made to tear away at flesh. Shark dives at the Dubai Aquarium and Underwater Zoo as well as in Aquaventure Waterpark allow you to dive with the king of the seas. The experience is open to everyone, whether you are a certified diver or not. And don't worry, the sharks are friendly and it's a completely safe experience! Tip: Wetsuits are available at the aquarium for additional costs. A full set of equipment is included in the diving package. If you’re a daredevil looking for the next adrenaline rush, an adventurer looking for an exciting diversion, or a couple looking for an unforgettable excursion, you will find a plethora of high-octane adventures in Dubai for you to try. Don’t go home without experiencing at least one!